What is a Form SSA 11-BK? The Form SSA 11-BK, known as a Request to be Selected as Payee, will be used by someone who wants to become a representative payee for another payee. Form Ssa 11 Bk: What Is It? 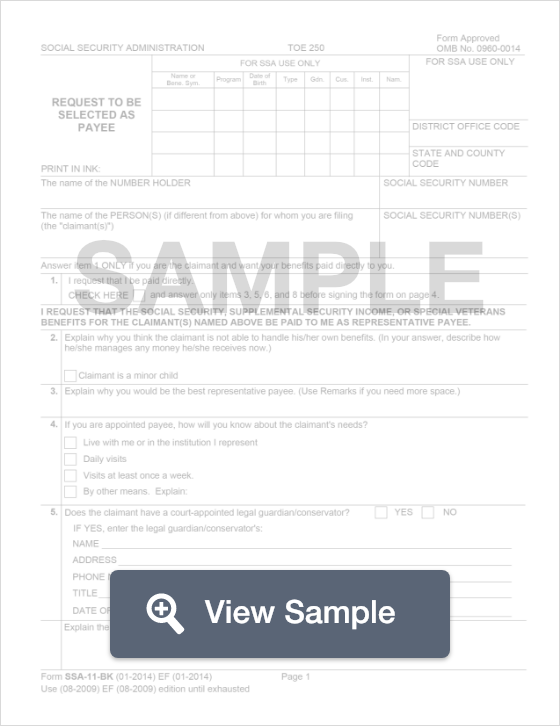 This form will be used by the Social Security Administration in the United States. A Form SSA 11-BK is known as a Request to be Selected as Payee. It will be used by someone who wants to become a representative payee for another payee. This form must be completed in a face-to-face interview with someone from the Social Security Administration in order to determine eligibility and suitability. This form will require personal information about the person applying to be a representative payee. This includes their name, social security number, and contact information. The applicant will also need to have information regarding the person they want to represent. This includes the reason they believe the party is unable to manage their own finances. 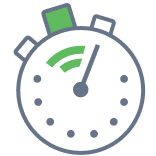 Create a free Form SSA 11-BK in minutes with our professional document builder.